The future of train layout Occupancy Detection may no longer be based on electronics sensing locomotive current in a track block or “Breaking Light” as a train passes. Instead, it could be based on the same fundaments the operator of the model locomotive does, they see it. 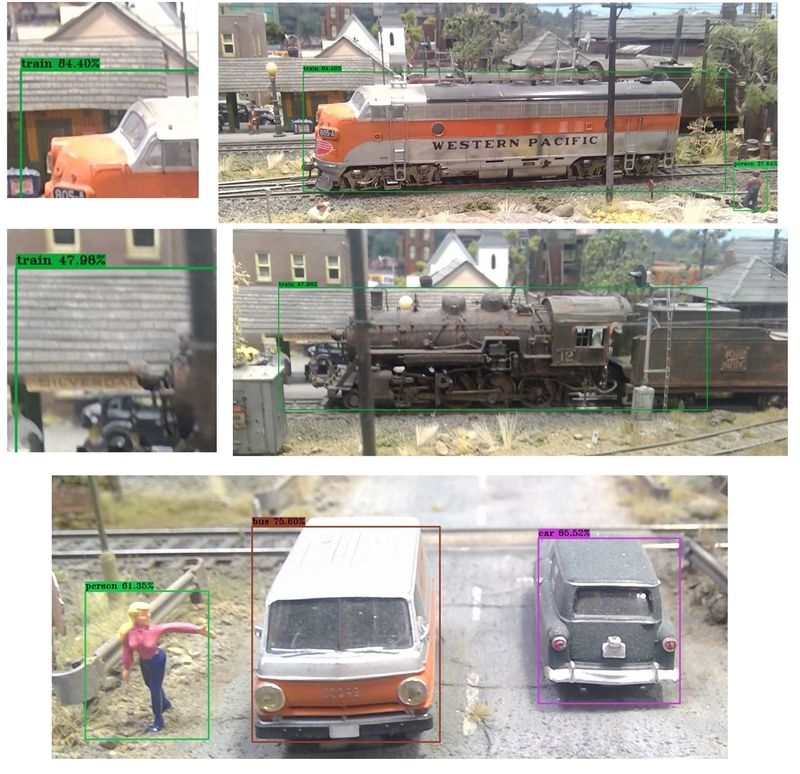 The pictures I took demonstrate a locomotive detection using deep machine learning convolutional (CNN) neural network software running on my PC. I wrote the software using C#.NET and used the YOLO (You Only Look Once) weights model. You can see it detected both diesel and steam locomotives as well the distinction between objects that would look similar such as a car.